It should be no surprise, then, that with such a massive pool of options in existence, that varietals, wineries, and wine-making years would rise and fall in popularity. It can be easy to look at what wines are currently popular and feel like it’s always been that way, but the world of wine does have trends. One such trend, which started much more recently than many people actually realize, is the rise of popularity of the red wine Malbec. Currently, Malbec enjoys immense popularity just about everywhere where people drink red wine, and owes much of its fame to its unique and well-loved combination of juicy fruit flavors in great abundance, and very easy drinkability. It goes well both with or without food, pairing well with a variety of dishes and tasting just fine on its own too. It shares many characteristics with Merlot, but with an added spice and a small bite of acidity that give it some added character while still retaining the easy drinkability its known for. Interestingly enough, the wine was all but unheard of just over ten years ago, and suddenly seemed to appear out of nowhere and take the world by storm. It can be odd to think about how few people really knew about Malbec, and how much harder it was to find so recently, considering its immense popularity now. Malbec’s story is an interesting one. It originated in France, but was almost never used on its own to create pure Malbec wine (the main exception to this being France’s Cahors region), and when it was, and it never really left France. Instead, the Malbec grape was mostly grown in order to blend with other grapes to make blended wines like the famous Bordeaux blend; the grape was poorly suited to French soil, and didn’t take off until Argentine winemakers traveled to France and came back with cuttings of the Malbec vines. 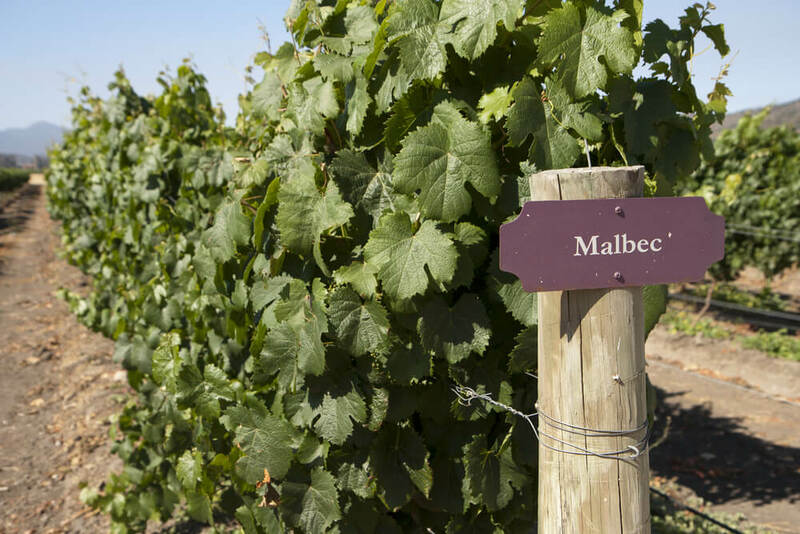 Taking to Argentinian soil in a way it never did in France, Malbec had suddenly established more of a foothold in the world and began to quickly grow in popularity. This week, Vine Vera would like to celebrate this distinctive red wine varietal by having a whole week themed around the grape. You can expect to see our very own Malbec DNA collection—a powerful suite of anti-aging skincare products that will have your face looking better than ever—take center stage, along with a variety of information on Malbec wine, such as its history, notable regions to visit on a Malbec-centric wine-tasting vacation, and much more.